The planing fence provides a broad surface ensuring a firm support even in heavy working conditions with bulky parts. The planer working angle from 90 to 45 degrees is well indicated. 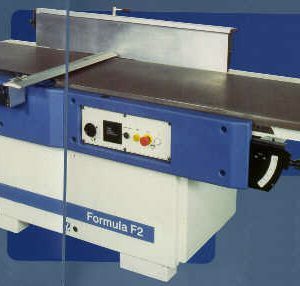 The optional mortiser has a large-size work table with precision movements on the horizontal, vertical and lateral axes. Planer (diameter 120mm) with 4 blades. 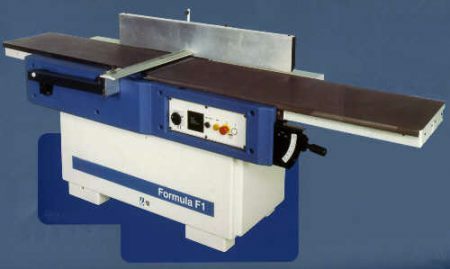 Cutter block available with automatic blade securing and adjustment. The infeed and outfeed tables are made in ribbed cast-iron and are controlled by a rod/parallelogram system for maximum safety. This system ensures a constant distance between the surface and the cutter block, keeping the surfaces parallel to the cutter block at all times.